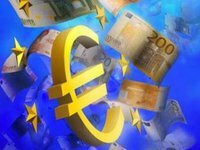 Ukraine has attracted a loan of EUR 349.3 million from Deutsche Bank under the guarantee of the International Bank for Reconstruction and Development (the IBRD, the World Bank structure), according to the website of the Ministry of Finance. According to the ministry, the funds were received in two tranches: an A tranche in the amount of EUR 53.2 million with a maturity of four years and a B tranche in the amount of EUR 296.1 million with a maturity of ten years (four years and six months after the funds are raised, the loan is subject to gradual repayment in certain amounts every six months). Part of the guarantee of $375 million in euro equivalent of the World Bank's total guarantee in the amount of $750 million was used for the loan. The Ministry of Finance also said that attracting another loan under the unused part of the World Bank guarantee is expected in the first quarter of 2019. According to a press release from the World Bank, this guarantee will help Ukraine attract about $1 billion in international markets to the national budget.